For delicious vegetables, you won't be able to get enough of, try one of these delightful Thai vegetable recipes. They are fresh, healthy, crisp and just plain delicious. They would make a wonderful complement to any Thai- or Asian-style dinner. This easy bok choy recipe is terrific to serve as a side dish or add tofu or your choice of chicken, pork, or seafood for a delicious stir-fry main course. With a rich garlic taste, the stir-fry sauce is easy to make and goes well with other vegetables too. Making a "simple stir-fry" isn't all that simple. Getting the stir-fry sauce to taste just right is usually a challenge. But this Thai stir-fried vegetables is a no-fail recipe, mostly because the stir-fry sauce is made before beginning to fry the vegetables, allowing you to adjust the flavor according to your taste. Give it a whirl. 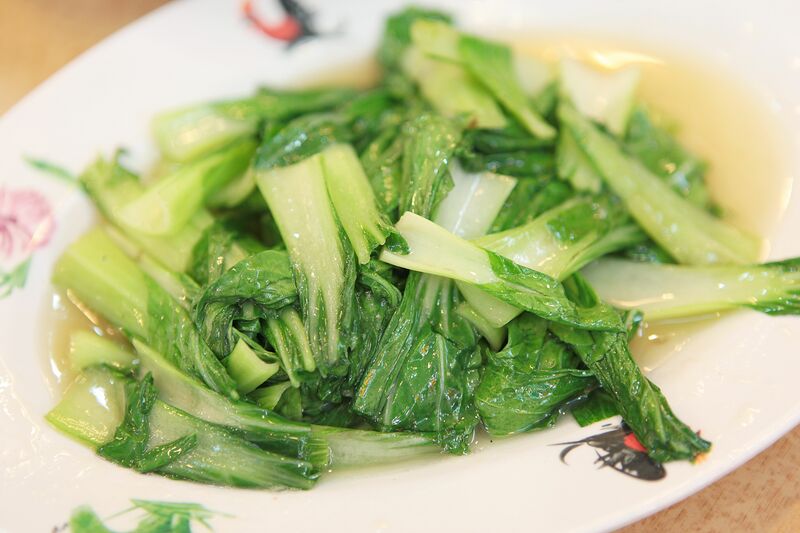 This Chinese broccoli (gai lan or rapini/broccoli rabe) recipe is delicious and simple to prepare. In Thailand, vegetable stir-fries tend to be Chinese in origin (Chinese cooking is a huge influence). If you can't find Chinese broccoli, broccoli rabe (rapini) is a close relative that may be easier to come by. Western-style broccoli found in the States works well too. This vegetable dish couldn't be simpler to make. Just toss the scrubbed and sliced sweet potatoes and/or yams with a little oil, add a few spices and pop them in the oven for 45 minutes. This is pretty much a hands-off kind of dish. Just set it in the oven and forget about it until the timer goes off. This wonderful dish tastes as good (or better!) than what you'll find in most restaurants, and is twice as healthy (no MSG or other additives). Plus, it takes only a few minutes to make - you can have it on the table in less than 15 minutes. Great as a side dish to any Thai/Asian inspired meal. This simple eggplant recipe is aromatic and flavorful, and the generous amounts of fresh garlic make it extra healthy. This eggplant recipe makes a terrific side dish that can also be made vegetarian. This Thai stir-fried vegetable recipe is easy to make and tastes like a stir-fry should—flavorful and fresh. It also is really flexible since it can be served as a side dish or, when shrimp, chicken or tofu are added, as the main course. Also, you can choose your own assortment of vegetables based on what is fresh and available where you live.